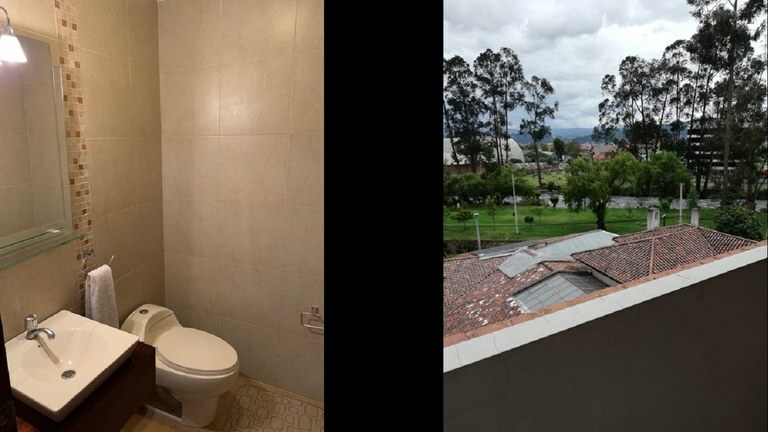 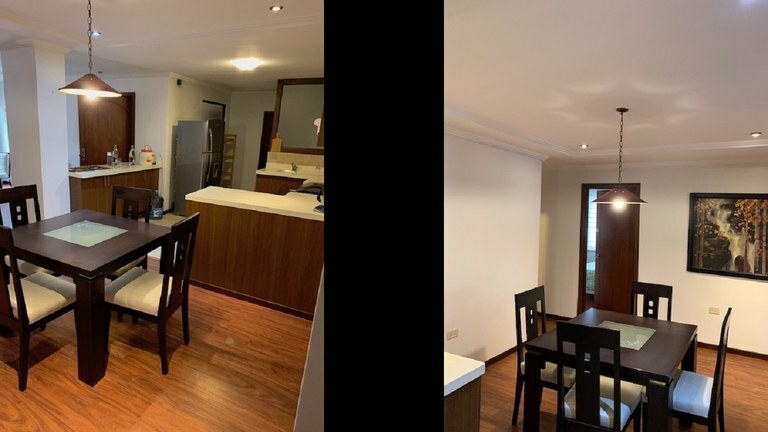 Located in Ordoñez Lasso, one of the best neighborhoods of Cuenca and very popular with Expats, this modern and well-designed condo is strategically situated in an area near good restaurants, supermarkets, tiendas and banks and has views of the Tomebamba River form the bedrooms.. With 1.000 sq. 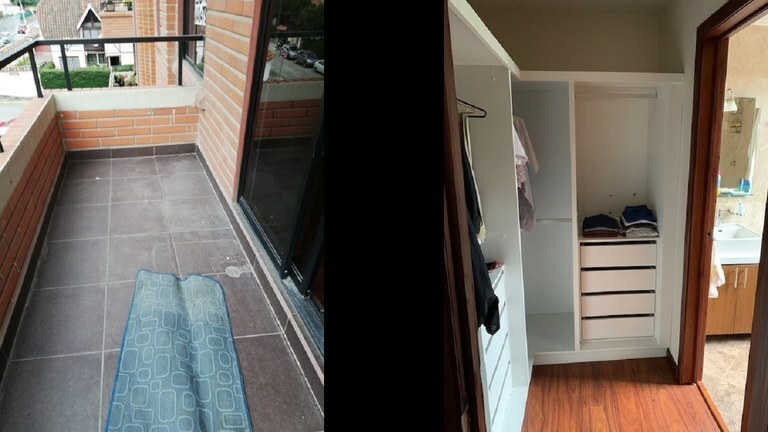 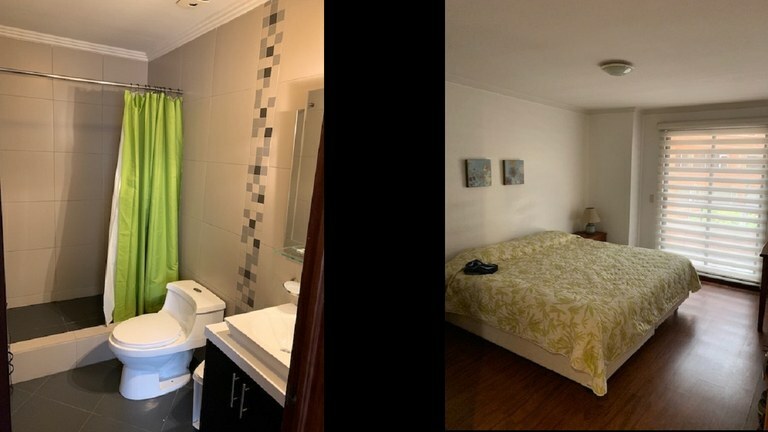 ft. of living space, this pet friendly, 2 Bedroom/2.5 Bath condo is only a 15 minute walk or a 5 minute taxi ride into El Centro, the Cuenca city center. 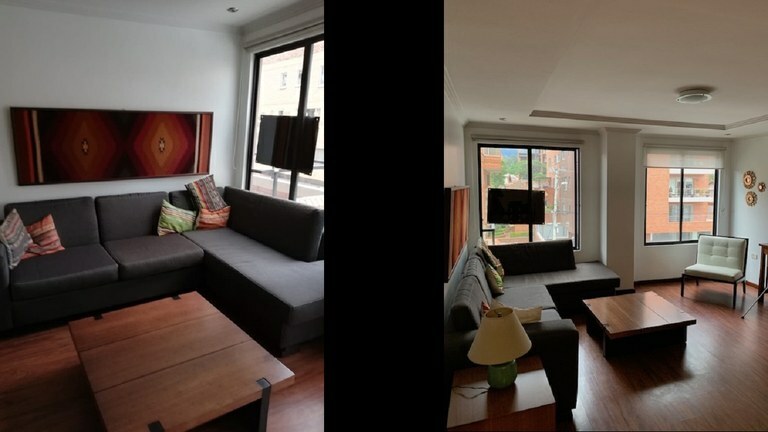 Bright and airy, with plenty of windows and high ceilings with crown moldings, this furnished condo is located on the 4th floor of a 6-floor building and includes a laundry room off the kitchen with a stacked washer/dryer unit, kitchen cabinets galore, easy-care laminate and tile flooring, 24/7/365 security guard service, all kitchen appliances and window coverings, and is located on a quiet cul-de-sac in a residential neighborhood. 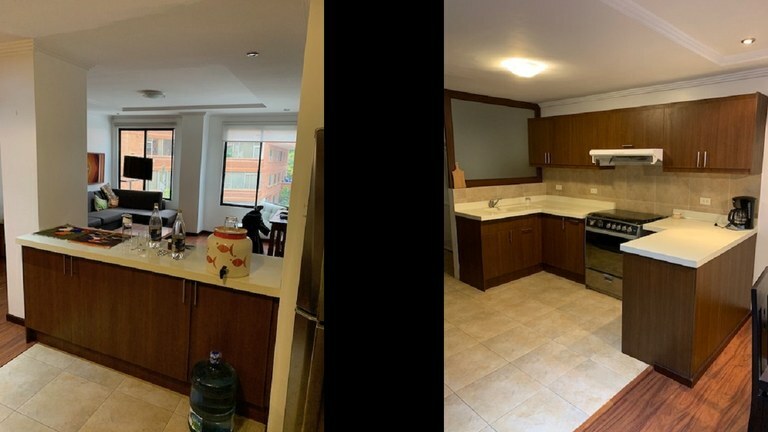 With a low asking price of only $124,000, which includes 2 tandem parking spaces and a storage unit (bodega) in the building garage deeded with the condo, plus a 50 sq ft balcony, low ANNUAL property taxes totaling only$105 (2018), and a monthly condo fee of $70, this property will NOT be on the market for long. 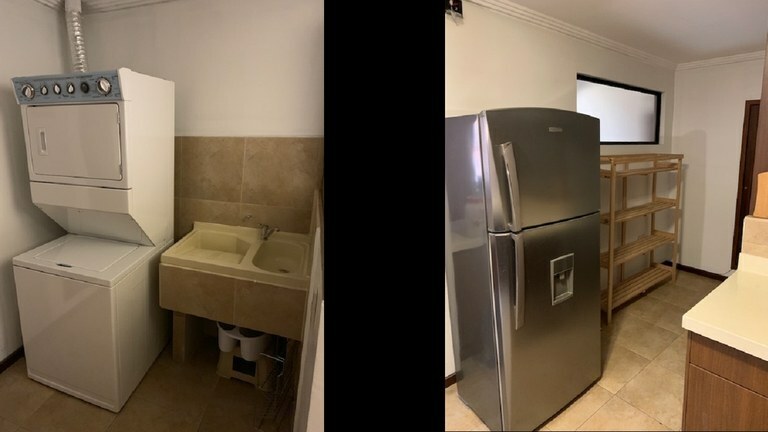 Call us now to view this property before it is gone! 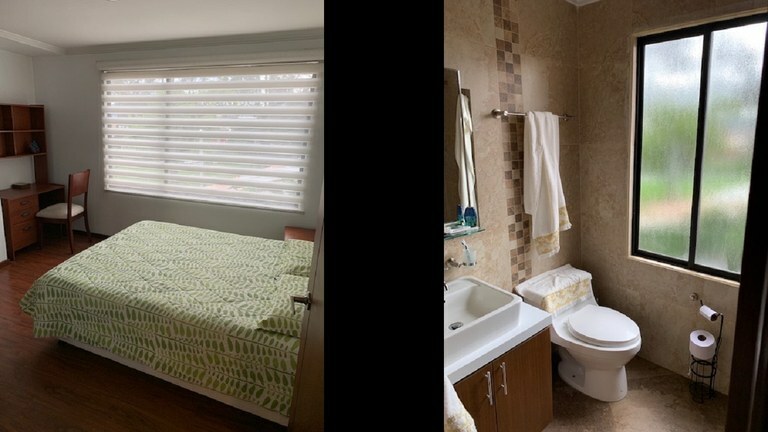 Mention Property #1453 when you call.